We plan thoughtful, creative work environments. Space Continuum employs the world’s best designers and professional consultants to elevate your space to the next level. Place can powerfully express an organization's unique culture and help it achieve its business goals. We'll partner with you to create a workplace that's efficient, beautiful, and productive. Government agencies need to work smart. Our experience working with local, state, and federal government agencies, combined with our expertise in furniture procurement delivery, and installation, enables us to provide strategic solutions on time and on budget. 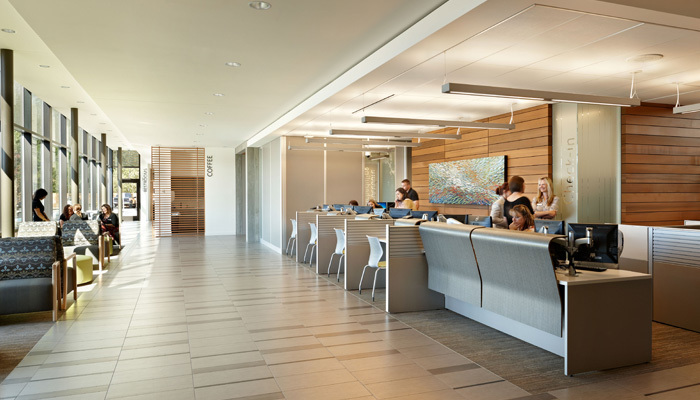 A well-designed healthcare facility has a profound effect on its patients and employees. When a space perfectly supports the activities of caregivers and provide comfort for patients and family members, it can dramatically increase care quality and patient satisfaction.